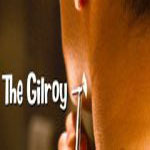 The Patch for Men is a product advertised as The Gilroy Patch you can quickly apply to help you attract women and give you a decided advantage in social situations. The seller of The Patch for Men are trying to use the hype surrounding The Gilroy Patch in Oceans Thirteen to connect with men looking for a product to help them pick up more women. Customer reviews of this product indicate that so far men have found this product to be all talk and no action. The Patch for Men appears to be a product that was put on the market to try to take advantage of the hype surrounding The Gilroy Patch in the Oceans Thirteen movie. Reports by men that have tried this product indicates that a large percentage have found it to be totally ineffective in helping them attract more women to the party.